Spooky things happen in Old Sacramento all the time. 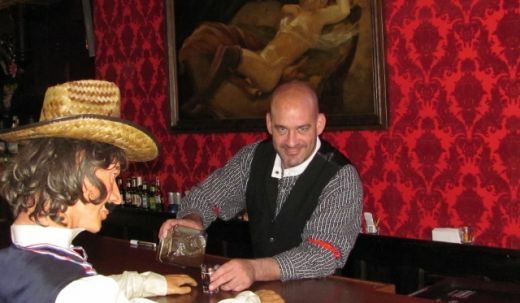 The River City Saloon has three Ghosts and they are all friendly, but we thought we would share this story that was found about the saloon in its beginnings in the 1800’s. “The boys won’t go back to the construction site,” said the foreman to the Madam. “Tell them I’ll give them credit, once the saloon is up and running,” she said, carefully lifting her hem up to keep it clean. “That sounds like our old ghosts, from the rundown saloon that was here before,” she said, brushing fluff off her corset. “Just do what you have to do,” she said. “I don’t care if you build the whole thing yourself. Remember that you don’t get paid until it’s done.” She didn’t wait for a response. She turned and headed for her tent. “Yes, Madam,” he replied, frantically looking around for available workers. Johanna entered the tent, then noticed the figures seated in chairs near the wall. “Don’t worry, I’ll have a home for us in no time at all,” she told them. She looked up again, but the woman and child had vanished. She heard rustling sounds behind her. “What is it?” she asked. “I need to do the books.” She turned and looked up. “Oh, it’s you.” Standing by the opening of the tent was the ghostly figure of an old grizzled man, looking like he just came up from the gold mines. His body shimmered, as he struggled to stay visual. “Thank you, I can handle it myself,” she said. “We’re looking forward to the new saloon being built,” he stated, before fading away to nothing. Just then, she heard screaming. She got up and ran outside. “Whatever is wrong?” she asked the foreman. He looked frantically around him and took her up on the offer. “Excuse me miss, someone is here to see you,” said an older woman. “Send him in, please.” She returned to her tent and took a seat at her desk. “Yes, I’ve already signed the forms.” He passed them to her. “Thank you,” she said. “You are welcome to set up. By the way, there are ghosts here, but if you don’t disturb them, they won’t disturb you.” She got up to shake his hand. “That won’t be a problem.” He turned and left the tent. “Good job ghosts!” she said to the air surrounding her. “Not only did we get rid of the scam artist, but we also saved on half the costs!” Her statement was met with silence, but she was positive she’d be hearing from the ghosts rather frequently over the next several years. Ghosts happen in Old Sacramento, so be aware! Ghosts in Old Sacramento? If someone asked you to think of the most haunted cities in America what would your answer be? New Orleans? Gettysburg? Savannah? Sure, they all have a reputation for being frequented by restless spirits, but would it surprise you to know that Sacramento, California is one of the most haunted places in the country? It’s true! The city has a rich history of deaths due to floods, murders and suicides. We’ve gathered a list of some of the most haunted places in Old Sacramento. Readers beware! Old Sacramento Tunnels: We mentioned floods earlier, and it’s true. The streets of Sacramento were raised because of extreme flooding that took the lives of many of its citizens. The new area effectively sits on top of old roads, forming tunnels and catacombs that are still haunted by the ghosts of those who died down there. The River City Saloon: If you’re in the mood for a great deli-style sandwich and the chance to share it with a hungry spirit, The River City Saloon is the place to be! The saloon is reportedly haunted by three ghosts – an old miner, a woman from the 1800’s often seen in what appears to be an old western corset and dress and a young child that looks to be under 8 years old. The Eagle Theater: While most of Old Sacramento’s restless spirits have haunted the residents for many, many years, The Eagle Theater’s ghost is relatively young in ghost years! This establishment is reportedly haunted by the ghost of a 1970s director who moves props and chairs in the night after a show. Talk about dedication to one’s craft! These are just a few of the local haunts that can be visited in Old Sacramento. We invite you to visit as many as you dare. Comments Off on Ghosts in Old Sacramento and River City Saloon? River City saloon in Old Sacramento serves quality and tasty food and drinks and has done so for years. 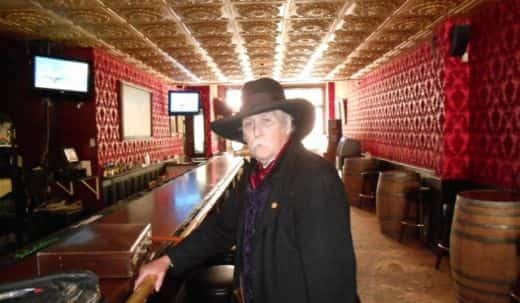 The customers of the River City Saloon are mostly people from all around the world who visit the bar and often get weird chills from the Old Sacramento ghosts and feelings that something else is present. Sacramento’s River District known as Old Sacramento is known to be a place of good fun, food, entertainment and history as it accommodates families and businesses visiting from all over.However, this great environment did not start out blissful like it currently is, in fact it’s scary past have contributed immensely to its current tourist attraction. River City Saloon dates back in the late 1800’s when it was framed with wood and was later replaced with bricks in 1857. It was originally owned by Johanna Heigie, in 1861.In that period, the building became “French Saloon’s” and was then owned by Mr. Parker French, a newspaper man who loved pleasure after work. In the late 1960’s, the Old Sacramento Saloon had series of dangerous moments which resulted from its reputation of being anything but dull. It became a dangerous place due to the fearful stories shared by the people who visited it claiming Ghost encounters. It is important to note however, that paranormal activities are not a new experience in Old Sacramento, California. In fact it is known to be one of the most haunted cities in the USA. 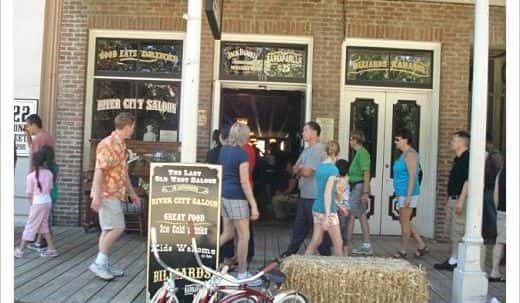 Ghost activities occur mostly in River City Saloon saloon late in the evening but there are many area’s in Old Sacramento like Pionear Park, that many people have reported having ghostly encounters. The River City Saloon has been experiencing ghostly activities for years which people perceived to be trapped inside of the building or emanating from the Old City Cemetery where bodies of early Sacramento pioneers and settlers were buried. Most of burials were built over when the city raised the street level and the area is both creepy and beautiful. In fact visitors at River City Saloon in Old Sacramento district have reported seeing ghosts wearing mourning clothes. A typical example is the female spirit who is believed to be a former saloon girl (Phantasms have been photographed in the saloon during séances), another is a younger ghost – a child who looks to be around the age of 8. The child ghost has shown up in pictures from that many tourists have taken and some of these people have thought the ghostly image in the picture was simply a photo bomb. Lights have flickered, apparitions, and unexplained footsteps have also been observed after hours alongside other disturbances. Paranormal investigators have been out many times to see if they can help with the problematic energy from the other side that might be trapped in the building. Thou there are times when the staff and customers see and feel nothing, something will then happen out of the blue that lets them know they are still present. Below is a picture taken by one of the customers that showed a ghost believed to be the small child that visits customers from time to time. 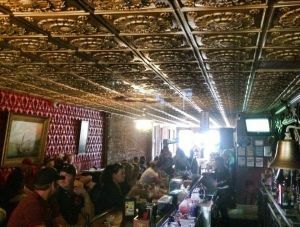 Picture taken by guest of a spirit / ghost inside River City Saloon in Old Sacramento. Look in the far right corner at the bottom of the picture. Dating back to the beautiful days of the ‘Gold Rush,’ there is a long history of the saloons in the Wild West. Most Old Sacramento residents are not aware of the existing bars that contain a rich historical value. River city saloon is one of the many bars that are in the Old Sacramento District. Not all the residents lived at the place during the frontier days. River City saloon dates back to the late 1800s and it was framed with wood and later replaced with bricks in 1857. At around 1861, the pub was owned by Johanna Heigle. During the same time, the building became “French Saloon’s” and changed ownership to Mr. Parker French, a newspaperman who desired a place full of fun after work. In the 1960s the bar went through a dark period because it became a dangerous place. There have been fearful stories of people being dragged to the sea. Besides, during the period of probation, the area would be continuously get raided, because it was serving people alcohol and Sarsaparilla for medicinal purposes. Since the bar was transformed to River City Saloon in 2007, the fearful past was saved and the future of the building became even brighter. The renovations done restored its original look and glory. The bar was initially located in a New York hotel, but it was later demolished and re-claimed by Red Barron Antiques in Atlanta. Currently, the River City saloon has a Wi-Fi connection, the availability of deli-style sandwiches, a family menu of appetizers and the famous Old West Sarsaparilla available for 25 cents. In addition to that, the saloon is open until 9 pm for both family and kids to visit the bar and make an order of the old West delight. At night, the place is full of life with people enjoying music and dance, especially on Thursday night with top 40 videos featured during the weekend and other forms of entertainment. Apart from that, customers enjoy River City Saloon offers that also feature the legendary Old West Sarsaparilla which is brewed explicitly by the River City Brewing Company that is found in Old Sacramento. Whenever you visit Old Sacramento, don’t hesitate to drop by at The River City Saloon for the best treats of lunch, drinks, and dinner. The bar accepts the use of credit cards, Visa and MasterCard. Besides, parking and highchairs are available for customers. Old Sacramento and it historic saloons. Old Sacramento is identified to be the City of Saloons where it has a long history as a town that was seldom short of the musical entertainment. It also stayed open till late night. The River City Saloon which is located in the Old Sacramento district has a long history. Before its replacement with the brick in 1857, the building was initially early framed with wood while it was owned by Johanna Heigle in the year 1861. The River City Saloon is one of the oldest standing bars in Old Sacramento. Later on, it came to be known as the Parker French’s Saloon. This Old Sacramento Saloon was also identified to be a dangerous place at times due to its reputation of being unexciting and stodgy. However, such claims of a bad reputations are not backed up with the credible historical evidence. The place was renamed as the River City Saloon after it was remodeled to its original grandeur in the year 2007. The River City Saloon adopted the name from the fact that there are numerous and good saloons found in the Old Sacramento. The River City Saloon has the structure of a Saloon. 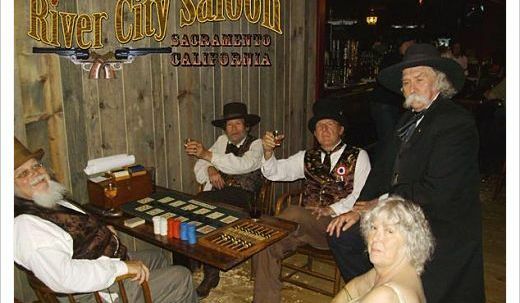 The River City Saloon was created after some hours of research into the originally present saloon in the Old Sacramento. 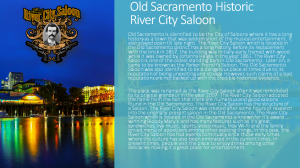 The River City Saloon which is located in the Old Sacramento is known for it’s award winning Bloody Mary’s and has many features such as it’s great sandwiches, live music, sports, video music, free Wi-Fi and the family priced menu of appetizers among other exciting things. In this case, the River City Saloon has had events continually since those early times where the culture has also been embraced in the current times. In present times, people visit the place to enjoy drinks among other delicacies making it a great place for entertainment. Sacramento, CA, USA . 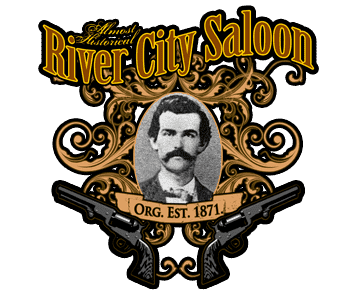 River City Saloon of Old Sacramento, CA has announced that it will be providing services of its historic bar for hosting birthdays. River City Saloon is landmark that has been there for more than a century with a reputed history. River City Saloon has taken yet another significant step by providing its services for birthday celebrations for adults. Everyone is welcome to feel special on the most auspicious occasion of birthday for themselves, friends and family, either it’s a special twentieth birthday or if it is a milestone of being fifty or sixty, River City Saloon is bound to make it a memorable day. The Bar is an epitome of hospitality that has been serving the best quality delicious food and drinks in Old Sacramento CA for years. The customers of the Bar are from around the world and have always returned wanting more. The reputed Bar is the finest place to have a birthday party with reasonable cost. City River Saloon not only takes charge of birthday party and handles food, decoration, entertainment, music and seating arrangements but also provides the place free of cost whereas most of the places charge more than $500.00 for a place. River city Saloon has received amazing customer reviews over social media and popular forums like Facebook and Twitter. “I don’t go out much anymore and ESPECIALLY not by myself but this is definitely my go to bar for an ice cold beer, a tasty margarita or just to ask the barmaid to surprise me. Every barmaid that I have met here has made me feel welcome and comfortable when I show up unaccompanied. That’s what makes this place Awesome! I love the atmosphere. Best bar in Old Sacramento! “Says Marilyn Ramirez, the owner of 4G-Paw Pet Nanny and House Sitting Service. The feedback of customers over websites and social media clearly indicates the appreciation of customers regarding the hospitality of staff at River City Saloon, this hospitality adds to the mark of the restaurant. From pre-planning of birthday like picking a place in advance, choosing a date, picking the venue, working on the guest list and sending out birthday invitations to budget and planning the details of cake and entertainment River City Saloon takes charge and can give the best birthday bash one wishes. A best surprise birthday party to friends and family can be one of the finest treats hosted by River Pool Saloon. The website of River City Saloon has all the details of complete menu, drinks recipe, timings, discount offers, nightly events and videos are uploaded from time to time to give visitors a picture about the life and parties being catered at the bar. Birthday parties at River City Saloon are definitely going to make a mark of celebration and life at the bar. Taking a stroll along the front street and other streets of Old Sacramento is like walking back in time. The feel of the early gold rush can make your hair stand on end. The buildings and the history that carved those buildings give tourists a taste of what it was like during those good old days. It was declared a U.S National Historic Landmark District after undergoing continued restoration and development since the 1960’s. The District is often flooded due to its proximity to the Sacramento River system. Old Sacramento was raised above the normal ground level for added defense. This provided an extensive levee system which explains the wood planks found on various surfaces in front of store fronts and sidewalks throughout Old Sacramento and the Downtown areas. Founded by John A. Sutter in 1848, Old Sacramento grew economically during the gold rush era and in the decades after. During the gold rush, it became a major distribution point, a commercial and agricultural center, and a terminus for wagon trains, stagecoaches, riverboats, the telegraph, the pony express and the first transcontinental railroad. But in 1960, Old Sacramento fell into disrepair and disrepute. So in the mid 1960’s, a plan was set forth to redevelop the area and to designate it a national historic district. Since then, 53 historic buildings, most of which date back to the 19th century, were restored to a reasonable approximation of their original appearance. There are still some that are being used as originally intended while most have become devoted to housing restaurants, gift shops, or other businesses catering to tourists. Tourists come from all over the world to get a “feel” of what it was like during the gold rush days. But others come especially for the River City Saloon. The salon, housed originally by a framed wood building, was reconstructed in 1857 using bricks. Like the other buildings of Old Sacramento, the River City Saloon was further restored to resemble the original establishment. What used to be a “house of ill repute” is now a place of good fun, food, entertainment and history. It caters to families and serves the best nicely priced menu of award winning food, drinks such as the original Sarsaparilla, live music and video and so much more. Feel the rush of the “Gold Rush” in Old Sacramento District. Walk through history and experience it through the different gift shops, restaurants and the River City Saloon. A party is a group of people who have been invited by a host from the operation of socializing, gossip, recreation, or as part of a commemoration or other ceremony of a special opportunity. A gathering will generally feature food and beverages, and often music and dancing or other means of presentation. In countless Western countries, defendants for teens and adults are associated booze like beer, wine, red or white or purified spirits. 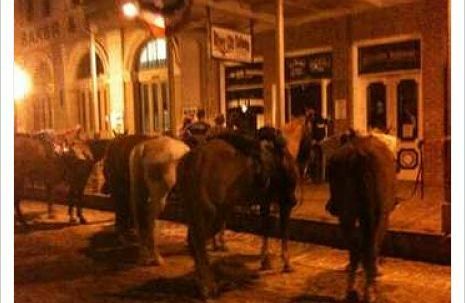 Of course we have parties at the saloon almost every weekend and do not charge a dime for the celebrating group. Some party’s are held in honor of a specific person, period, or event, such as a birthday gathering, a Super Bowl party, or a St. Patrick’s Day party. Parties of this kind are often announced occasions. A party is not undoubtedly a private opportunity. Public parties are sometimes to participate in eateries, taverns, beer garden, nightclubs or barrooms, and beings attending such people may be charged an admission fee by the host. Large defendants in public streets may celebrate phenomena such as Mardi Gras or the signing of a nonproliferation treaty ending a long war. A birthday party is a occasion of the commemoration of birth certificates of the person who is being celebrated. The institution started in the mid-nineteenth century but did not become popular until the mid-twentieth century. Birthday celebrations are now a feature of countless cultures. Birthday parties are often held at River City Saloon, all FREE of charge. In Western cultures, birthday boys and girls include a number of common habits. The guests may be asked to generating a toast for the honored person. Party orientations are often embellished with colored garnishes, such as confetti and streamers. A birthday party is frequently served with lit candles that are to be blown out after a” birthday wish” has been established. The person being celebrated will be given the first piece of cake. While the birthday cake is being brought to the table, the anthem” Happy Birthday to You” or some other birthday anthem is sung by the guests. Birthday groups are often largest and most absurd if they celebrate someone who has reached what is regarded in the culture as a milestone age, such as change from childhood to adulthood. Precedents of usual coming of age occasions include the North American sweet sixteen gathering and the Latin American quinceanera. Surprise party “Surprise party” redirects here. For other uses, ascertain Surprise party( disambiguation ). Birthday surprise parties are the most common kind of surprise party. At most such parties, the guests will arrive an hour or so before the honored person arrives. Often, a sidekick in on the event and will produce the honored person to the group without telling the birthday person anything. Comments Off on A little about Parties. SACRAMENTO, (January 12, 2017) –The River City Saloon happens to be the last old west saloon in Old Sacramento, that serves some great food till late night. Open 7 days a week and well after 9pm,the saloon offers special fun days too. Free Pool on Wednesday nights, Live Music on Thursdays, and Karaoke on Friday and Saturday Nights are a special attraction.During the tourist season their doors are open between 11am -2am and off season timings are 11:30am-2am. River City Saloon is also a unique place to host birthday parties, special ones like the 21st party of a teenager, or even the 50th birthday of a parent, or may be the 90th of a grandparent. When most venues charge anything above $500.00 for parties, River City Saloon comes absolutely free as a venue. Guests get a chance to save money while celebrating with their loved ones. The place comes for free, with no cover charge and no minimum payment. It is just the right place to get friends together and not have to worry about stuff like cleaning, bartenders, servers. All these services are provided by the saloon. Guests are even allowed to bring in their own food caterers. Tasting River City Saloon’s food is however a better option when hosting a party, as their menu card boasts of some award-winning Deli sandwiches besides Old West Sarsaparilla, brewed exclusively by River City Brewing Company. A great place for naughty kids too, as they have their special finger foods on the menu and a basket of free peanuts. Even the saloon doesn’t mind kids throwing the pea-nut shells on the floor. Wiz-kids can enjoy free wi-fi too. A great place to have birthday parties with a family-priced menu of delicious appetizers, award-winning sandwiches, great video music, sports, live music, karaoke and much more. River City Saloon is a great, hip and happening place where guests can celebrate their birthdays free of any cost. Have a birthday party for a friend or that someone special in your life. Celebrating your loved ones birthday is a special event that’s meant to be shared with all friends and loved ones. Adults love parties as much as the kids and it’s really when friends get together for your birthday by sharing the special day with you. Especially if you are celebrating an important milestone, such as turning and celebrating that 21st birthday or turning 30, 40, 50, or even 60. These birthdays are special and should be celebrated with all the fanfare By having your party at a bar like River City Saloon in Old Sacramento, CA many of the things below can be handled for you. Pre-planning: Pick a place that does not charge to have a party for that someone special. Choose that place well in advance at least one month before the date of the party. Preparing for a party with some extra time should guarantee that you’ll have a relatively drama-free birthday party and make you look like you hired a party planner. Choose the date: The best day for any party is the weekend. But some Mondays are holidays, so Sundays can work too. By having it on the weekend it helps ensure that your guests will be available. Remember, it does not have to be on the actual day. You can pick the weekend before or after your actual birthday. Pick the venue: There are plenty of venues that allow you to have a party for free, but If you want an intimate party with just a few friends and family, then host the party at your house. But If you want something more crazy or remember able then go with a restaurant, bar or hotel function room. River City Saloon in Old Sacramento is just one of the many places that will host your party at no cost. They don’t charge any fees or have a bar or food minimum. Your guest list: Make a list of all the guests that you want invited to you party so you won’t forget anyone. Make sure you include friends that the birthday person might not have seen in awhile. Nothing says surprise more than a friend that hasn’t been seen in years. Send out the birthday invitations. Once you have locked down the venue and date, make sure to send out your birthday party invitations to everyone you would like to attend. Budget: You need to make this a fun event but to avoid spending too much money a budget is needed. This is where having a free place to host the party really comes in. Many places charge upwards of $500.00 just for the rental of the room. Save money and do some looking around. Planning the Details: This should be done in advance but 3 weeks usually works well. With just weeks to plan for everything, it’s time to decide if you are going to have food, a caterer, decorations, and of course any games or entertainment. Food – a buffet is always the most popular, cheapest and easiest method of serving food. It’s relatively less expensive than having an ala carte menu. Don’t forget to have light food or snacks for guests as they might be drinking on a empty stomach. Decorations – it’s easier to decorate with a theme in mind. Pirate party, superhero themed party, and 80’s party always bring out the fun in your guests. Decorations for most themes can be matched easily. Entertainment and games – to a little more fun, have some activities or games to keep the guests entertained. Try to have the activities relate to the theme you are having. Hire a DJ, band or even a magician. Once again if you are having it at a venue, many places offer free entertainment such as a DJ or Karaoke. Favors – Why not have a keepsake from the party. Be sure to hand out party favors that are tied to the theme. Things like personalized playing cards are great for a casino themed birthday party. You can even go as simple as candy wrapped up in a bag for the tables or when people leave. So when planning a party for that someone special please refer to these helpful tips and make it a memory that everyone will be talking about. Birthday parties are a great way to rally up the friends and we hope we have helped you a bit in your quest to planning the ultimate party.